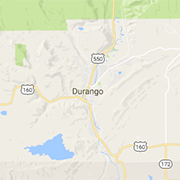 Find quality dentists, family doctors, chiropractors, life coaches and therapists in the Durango area to optimize your mental and physical health. Look for experienced medical and dental professionals in the Four Corners area. An award-winning team at Thrive Chiropractic Studio offers corrective and family chiropractic services to the Durango area.